VADO have announced the launch of the Omika wall mounted shower head, the latest addition to the Omika collection designed by Jo Love. 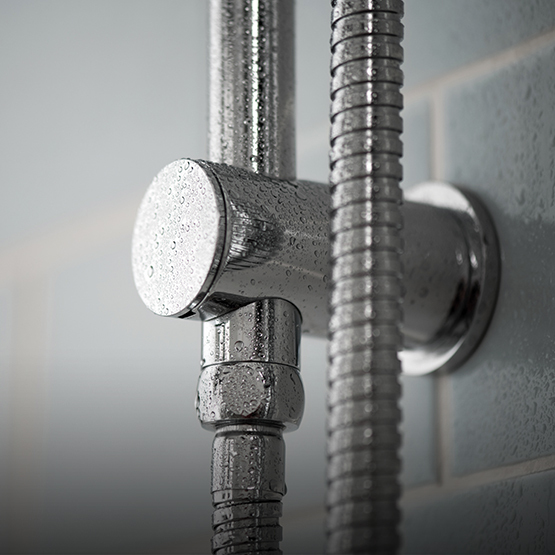 Harmonious with all products within the collection, the Omika shower head seamlessly combines strong clean lines with a slender tapered edge to create the perfect statement piece for the modern bathroom. Designed to ensure a luxurious showering experience, Omika’s expansive surface delicately delivers a tantalising arc of cascading water to echo the shower head’s natural concave aesthetic. Featuring VADO’s rain and waterblade shower functions, the new Omika shower head naturally encapsulates the power and beauty of water and can operate both shower functions simultaneously when harnessing VADO’s All-Flow technology. Manufactured to the highest VADO standards, Omika’s wall mounted shower head completes Jo Love’s beautiful Omika collection to redefine bathroom living.